Meet Brown Girls Climb. 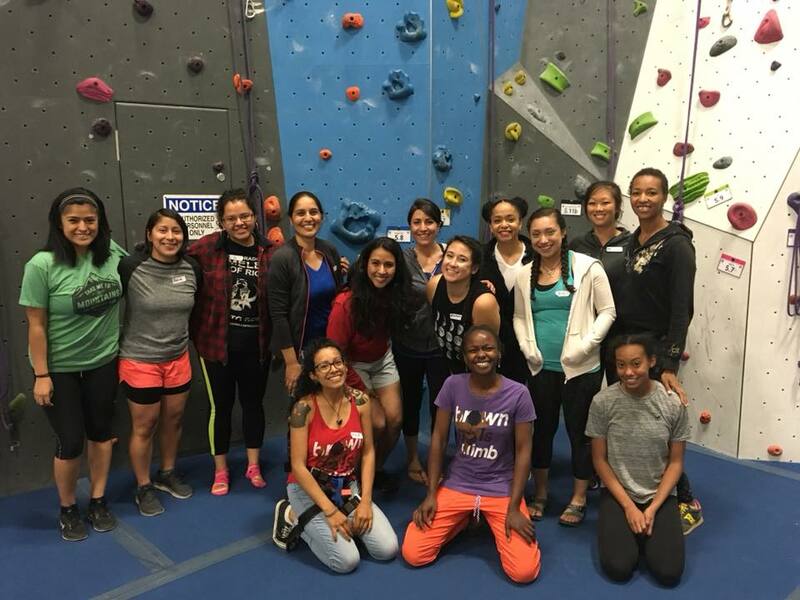 This multi-faceted organization is getting out on the rock and in the peaks and not just getting more women of color and other under-represented groups participating (and having fun)—they are changing the perception of the sport. This isn’t a new revelation but I’ll say it anyway—most of the time, when we flip through outdoor magazines or scroll through outdoor Instagram feeds, the majority of the images we see are lacking in diversity. To put it more frankly, most of the people we’ve historically seen in these images are white, casually outdoorsy and oftentimes male. For someone who doesn’t fit that singular narrative, it can start to feel as if maybe they shouldn’t step into the outdoors, as if society is letting them know, image after quiet image, that they don’t belong. Because the climbing community has a very defined culture, that message can sometimes sound even louder. 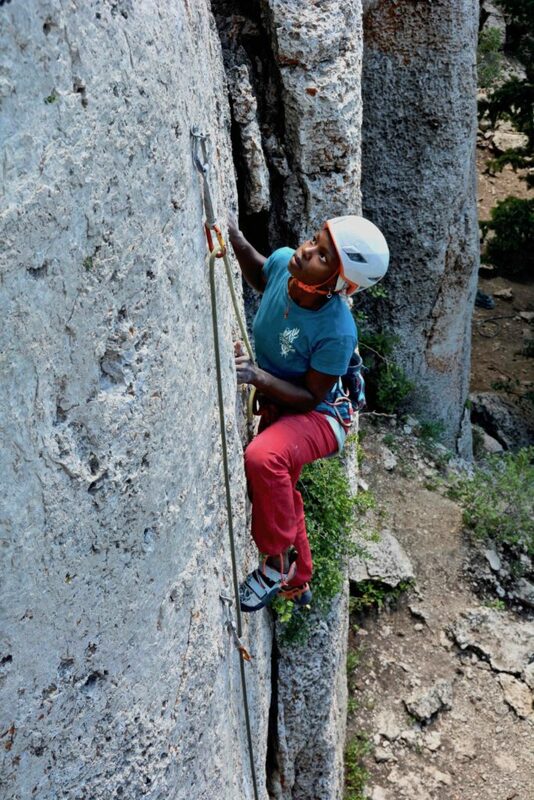 Lack of social, educational and financial resources and a limited number of role models are just some of the major barriers that many people of color and other marginalized identities face when considering venturing into the outdoors, especially climbing. Those barriers were in part what Bethany Lebewitz was attempting to address when she founded Brown Girls Climb in 2016. What initially began as an Instagram page to showcase the diversity that exists in the climbing community has since become a national organization with nearly 10,000 Instagram followers, an active climbing blog and outdoor leaders/ambassadors in five states. 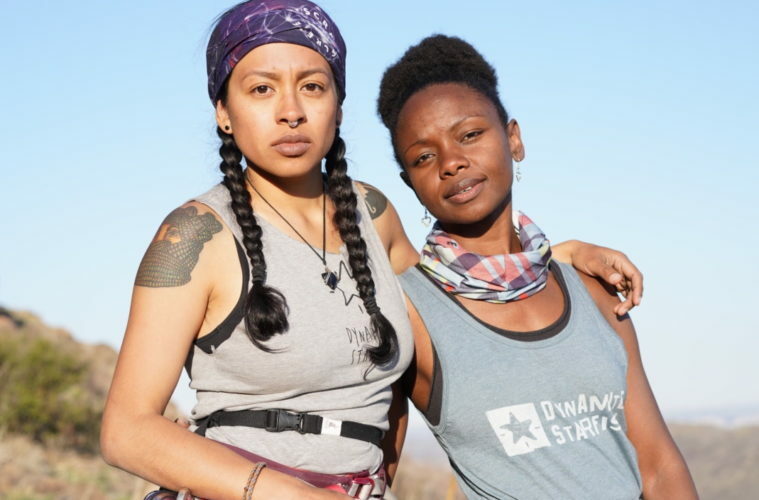 Brown Girls Climb and other outdoor diversity organizations have exposed what some may have already known but others (me included) were shocked to learn: People of color, and specifically women of color, have been climbing and crushing for years. Only recently have they begun to see traces of a spotlight. A Brown Girls Climb Intro to Climbing Course meetup at Earth Treks in Golden, Colorado. Photo courtesy BGC. In Colorado, climbing gyms have seen a small increase in diversity recently as outdoor groups have worked tirelessly to increase education and access for people of color. However, outdoor climbing crags continue to be predominately white spaces. 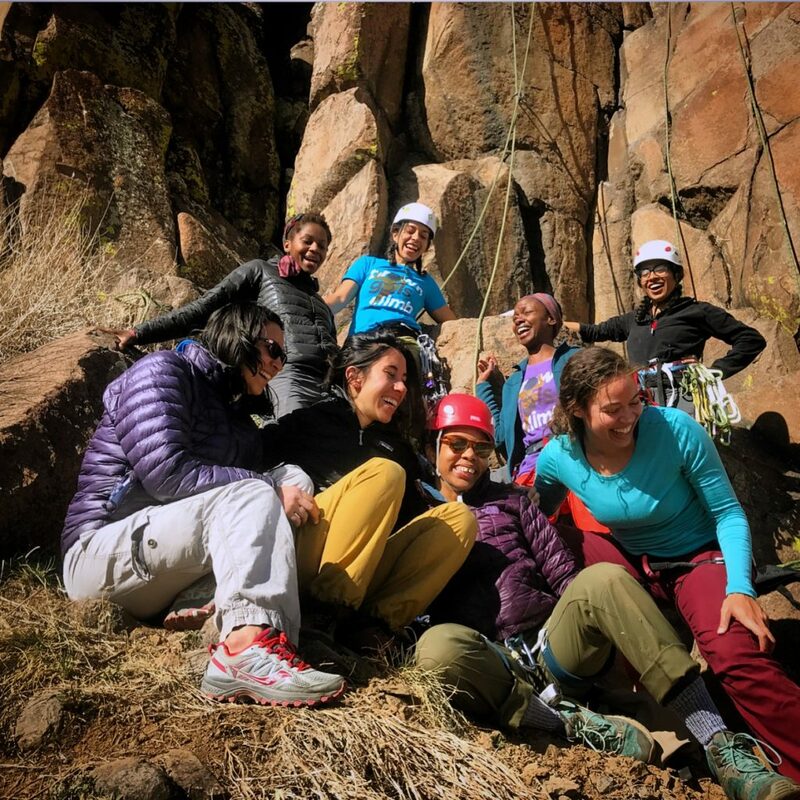 Colorado Brown Girls Climb leaders are striving to create a community where women of color feel valued and understood, comfortable expressing their full identities and confident as both leaders and learners of climbing. Over the past few months, we’ve hosted several outdoor meetups and have partnered with a local gym to host intro to climbing courses to bring curious women into the sport. Our meetups usually involve laughter, #Selena a capella and a lot of conversation around our connected outdoor experiences, all wrapped up in really fun and supportive climbing sessions. We also host a monthly gym meetup that we’ve unapologetically coined #MelaninMonday where we invite all new and experienced climbers of color, regardless of gender expression, to come meet new people and challenge themselves on whatever level feels comfortable. Each time we come together, I’m reminded by our members and by my own intense feeling of belonging, the importance of the space we’re creating. It’s not just for the community we’re continuously building, but also for all the ways that the space encourages confidence: to be climbers; to try hard or not try hard; to be ourselves. 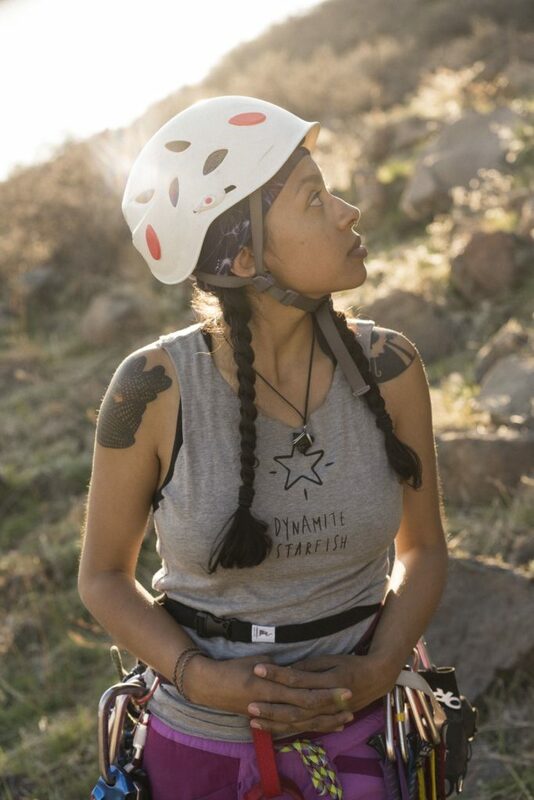 Every day, Brown Girls Climb Colorado and other chapters nationally break down social barriers, crush discouraging statistics and create community that embraces individual identities while helping women to expand their indoor and outdoor climbing skills. Recently, our leaders were asked to introduce themselves and to describe their perfect synthetic climbing robot. See what the Rocky Mountain leaders had to say below! 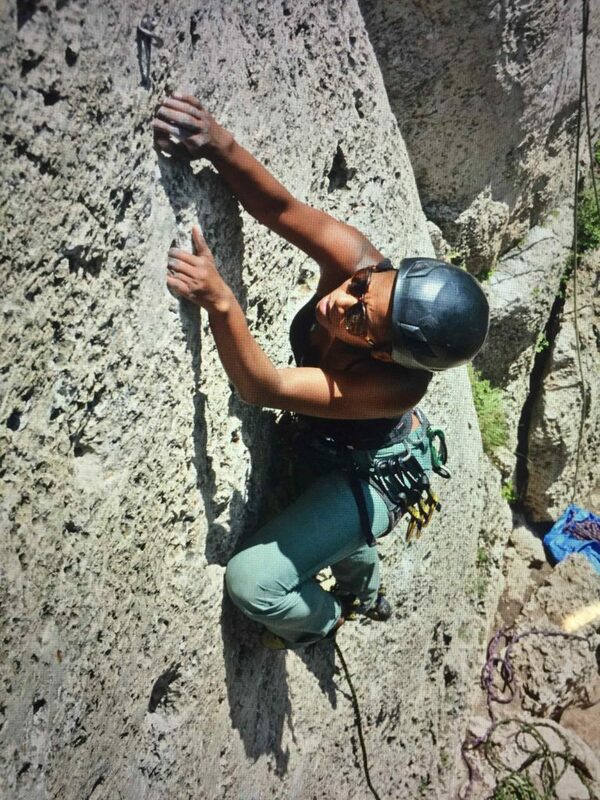 As the founder of Brown Girls Climb, Bethany wants to help connect, encourage and mentor other women of color interested in the sport. Bethany grew up in Cut and Shoot, Texas and became the first in her family to attain a bachelor’s degree at The University of Texas at Dallas. 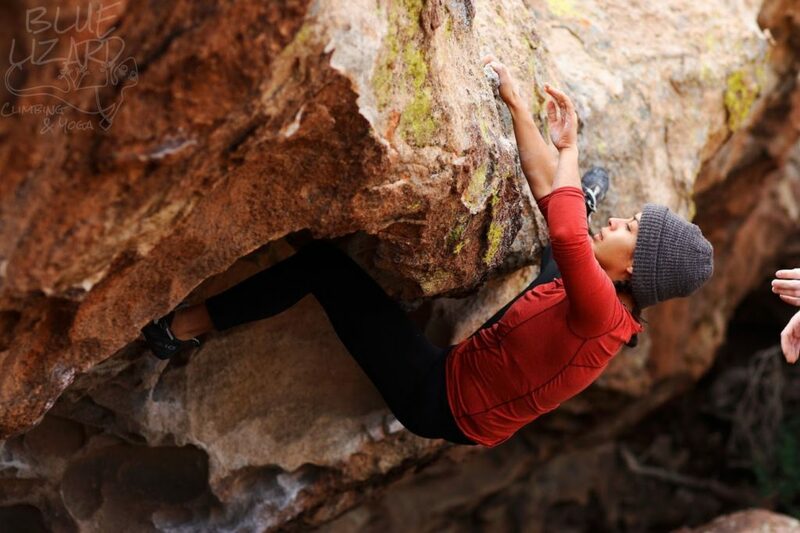 She entered the climbing world on her own and her experience as the only woman of color at the crag has motivated her to open the space to elevate and promote others. She began bouldering since it is the most accessible option for solo climbers, but lately is finding more and more joy being on the top of an exposed multi-pitch route and exploring the techniques of traditional and sport climbing. Monserrat Matehuala in Golden, Colorado. Photo by Carlo Nasisse. Monserrat was born in California but grew up in North Carolina where she fell in love with community organizing and the outdoors. Monserrat is a climber, outdoor educator, community organizer and all-around outdoor chingona currently based in Boulder. She started in the outdoor industry in 2013 and quickly realized that there was work to be done. She sought to bring change through creating DEI outdoor programming, sharing resources and facilitating trainings. In 2015, Monserrat moved to Colorado to continue her work in outdoor education. She believes in the power of climbing to heal, stand in one’s power and build community. She facilitates climbing experiences with women and girl’s through Women’s Wilderness and loves to support affinity climbing spaces. She has presented around diversity, equity, and inclusion in the outdoors at conferences like PGM ONE and AORE. Grace Anderson. Photo by Ben Joel Pingilley. Grace has spent the past few years working in outdoor education and meandering around the globe. Her focus is on supporting people of color and other marginalized identities by sharing of skills and resources that create self sufficiency in the outdoors. When not in the mountains, she is the summit director for PGM ONE, a summit for people of color in the outdoors and environment. Grace instructs for GirlVentures, NOLS and Balanced Rock and is based out of Lander, Wyoming. Her favorite type of climbing is moderate sport and trad multi-pitch routes that include lots of laughter and exhaustion. Sasha McGhee. Photo by Ben Joel Pingilley. Sasha grew up in south Georgia where she and her siblings spent the majority of the weekends and sweltering summers exploring every corner of the wilderness in her neighborhood. She was introduced to climbing at indoor meetups while living in Monterey, California. After moving to Colorado, she met her now partner who showed her more advanced techniques of bouldering, sport and trad outside. Since that introduction, she has enjoyed pushing herself to go further as a climber while also creating fun, supportive climbing spaces for her communities and challenging problematic assumptions about people of color in outdoor spaces. Aside from climbing rocks, Sasha is an IT project manager and spends much of her free time combining an activist mindset and consulting experience to push for positive change. A Brown Girls Climb Leadership Retreat at North Table Mountain in Golden Colorado. Photo courtesy BGC.